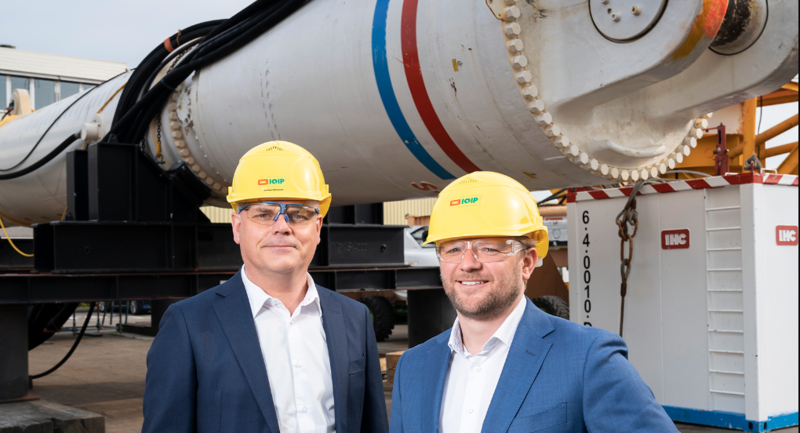 IHC IQIP has announced it is joining forces with Jasper Winkes, developer of the hammer with the BLUE Piling Technology, to advance the technology which can be used to drive piles for offshore wind farms using hydropower rather than the traditional steel ram. According to IHC IQIP, BLUE Piling is a logical step in the further development and growth of the Offshore Wind market. This involves the upscaling of the energy market to even larger turbines (from 8 to 10 and 12MW) and greater water depths, which is leading to larger monopiles. These larger sizes require a new pile-driving technology. The BLUE Piling Technology not only enables larger monopiles to be installed, it also reduces fatigue in the pile, says the company. The BLUE Piling Technology also significantly reduces noise by tackling the noise at the source so that noise reducing measures such as those used in other conventional pile-driving technologies are no longer necessary. Low-noise pile-driving also has less impact on the environment (mammals). The technology behind BLUE Piling complies with the ever stricter noise standards. Tests with the hammer using BLUE Piling Technology have shown that the hydropowered pile-driving technique can be used commercially in the market with some adjustments, IHC IQIP said it will start working with a modernised version of the BLUE Piling technology and expects to achieve positive results soon.